A memoir of boyhood tracing the 12 months that followed the author's shaking hands with JFK on the morning of the president's assassination. Looking back on the love and tension within his family, the childhood friendships that lasted and those that didn’t, he reflects upon the outsized impact our larger American story had on his own. Taylor, a biographer of Proust, is less concerned with a moment in time than with the mystery of time itself. His narrative is elusive and elastic, ranging widely before and beyond that handshake. Ruminations and reminiscences drift into place like the fluttering contents of a snow globe ... Taylor’s self-portrait of an odd, bewildered boy born into the frightening middle of the 20th century is touching, and a little shattering. Sometimes his prose can be fuzzily poetic, but more often it’s precision-guided ... 'The future is dark,' Taylor writes, 'the present a knife’s edge. 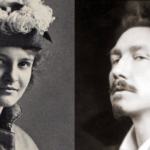 It’s the past that is knowable, incandescent, real.' It’s an arguable premise, I suppose, but Taylor’s remembering is fierce enough to sell it. His brush with history has the breath of life. Mr. Taylor writes bracingly of life in the early ’60s, a time at once light-hearted and filled with dread—of polio, race riots and Russian missiles ... An underlying nostalgia, indeed melancholia, pervades Hue and Cry. Trying to overcome Asperger’s in adolescence Mr. Taylor learned to make eye contact and modulate his voice. Later, in college, he studied the popular kids and built himself 'a Frankenstein monster from the parts I liked best about them—a persona very nearly the opposite of who I was when alone.' Mr. Taylor tries to come to grips with himself and his self-image, and to understand how to differentiate emotional realities from actual experience. Hue and Cry is an elegantly written book, erudite, perceptive and at times painfully candid. 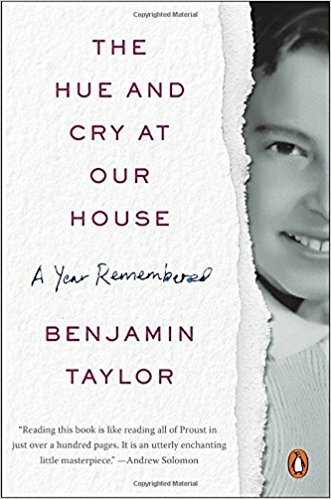 ...[a] lovely, gorgeously written memoir ... It’s Taylor’s gift to readers to make that past hauntingly real for them, too, without the taint of nostalgia, which, he wisely argues, 'lies.' The truth is that this memoir is an unforgettable sharing of one boy’s life that contains universal truths in a style that demands to be quoted. 'Memory is aesthetic,' he claims, and this book is proof of it. What did you think of The Hue and Cry at Our House?